Bees don’t only produce honey, they are responsible for pollinating many plants and therefore they are the important animal for nutrition of humanity and biodiversity of this planet. 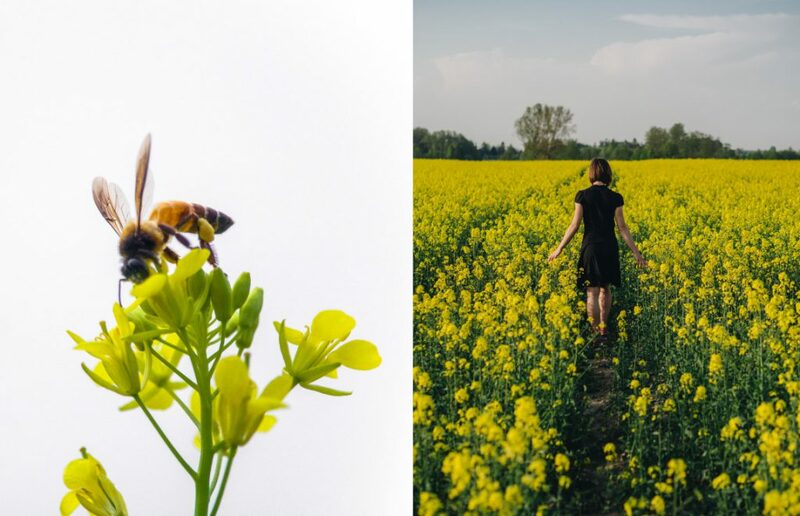 Because of monocultures, reduction of agricultural land, use of pesticides, viruses, pathogens and climate change, there is an alarming mortality rate of bees. Urban beekeeping became a big trend because he plants in gardens, parks and cemeteries are less contaminated with pesticides. We can help by planting bee-friendly plants in our garden or balcony like lavender and lupine, currant and raspberry, melon and pumpkins, and herbs like sage, rosemary and peppermint. And you can also use these plants, especially the blooms, as inspiration for the design of your product. Designs with bees, beetles and other insects are very popular. Be(e) happy, because happy people don’t destroy our planet. My favourite product, which I discovered at Ambiente, is bee wax wrap, a natural alternative to plastic wrapping for food storage, and which can be made very easily by yourself.